Home Geology How Do Crystals Form & Grow? The scientific study of crystals and crystal formation is known as crystallography. The process of crystal formation via mechanisms of crystal growth is called crystallization or solidification. The word crystal is derived from the Ancient Greek word κρύσταλλος (krustallos), meaning both “ice” and “rock crystal”, from κρύος (kruos), “icy cold, frost”. Most minerals occur naturally as crystals. Every crystal has an orderly, internal pattern of atoms, with a distinctive way of locking new atoms into that pattern to repeat it again and again. 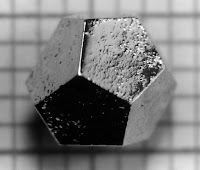 The shape of the resulting crystaL-such as a cube (like salt) or a six-sided form (like a snowflake)-mirrors the internal arrangement of the atoms. As crystals grow, differences in temperature and chemical composition cause fascinating variations. But students will rarely find in their backyard the perfectly shaped mineral crystals that they see in a museum. This is because in order to readily show their geometric form and flat surfaces, crystals need ideal growing conditions and room to grow. When many different crystals grow near each other, they mesh together to form a conglomerated mass. This is the case with most rocks, such as granite mentioned above, which is made up of many tiny mineral crystals. The museum-quality specimens shown in the images here grew in roomy environments that allowed the geometric shapes to form uninhibited. The internal arrangement of atoms determines all the minerals’ chemical and physical properties, including color. Light interacts with different atoms to create different colors. Many minerals are colorless in their pure state; however, impurities of the atomic structure cause color. Quartz, for example, is normally colorless, but occurs in a range of colors from pink to brown to the deep purple of amethyst, depending on the number and type of impurities in its structure. In its colorless state, quartz resembles ice. In fact, the root for crystal comes from the Greek word krystallos-ice-because the ancient Greeks believed clear quartz was ice frozen so hard it could not melt. Scientists typically describe crystals as “growing,” even though they are not alive. In subterranean gardens, they branch and bristle as trillions of atoms connect in regular three-dimensional patterns. Each crystal starts small and grows as more atoms are added. Many grow from water rich in dissolved minerals, but they also grow from melted rock and even vapor. 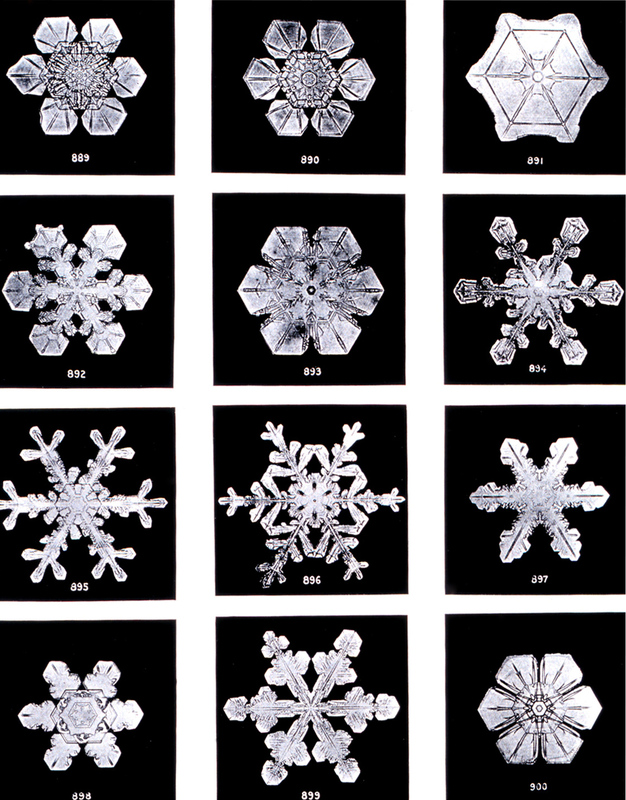 Under the influence of different temperatures and pressures, atoms combine in an amazing array of crystal shapes. 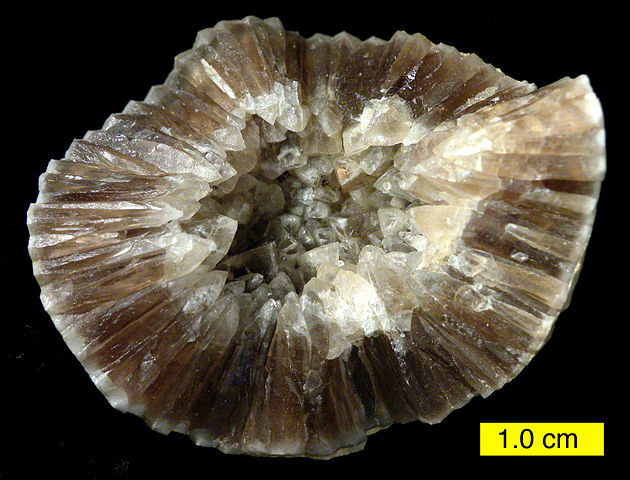 It is this variety and perfection of form and symmetry that has long drawn scientists to the study of minerals. 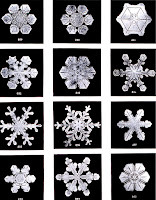 Symmetry is a regular, repeated pattern of component parts. Symmetry is everywhere in nature-the paired wings of a butterfly, the whorls and petals in a sunflower, the pattern of a snowflake, the legs of a spider-and minerals are no exception. In crystals, these repeated patterns occur within the basic atomic structure and reflect the pattern of faces of the crystal. You often can see the characteristic symmetry of a mineral crystal with the naked eye, but if the crystal is tiny, then you may need to look at it with a magnifying glass or microscope (as will be demonstrated in Lesson Plan 2). Recognizing symmetrical patterns in crystals may be difficult at first, but experience helps: the more specimens you look at, the more symmetry-and crystals-you will recognize. However, some specimens do not have well-formed crystals and are difficult even for experts to classify. Schematic of how atoms are arranged in crystalline, polycrystalline, and amorphous matter. The scientific definition of a “crystal” is based on the microscopic arrangement of atoms inside it, called the crystal structure. A crystal is a solid where the atoms form a periodic arrangement. Not all solids are crystals. For example, when liquid water starts freezing, the phase change begins with small ice crystals that grow until they fuse, forming a polycrystalline structure. In the final block of ice, each of the small crystals (called “crystallites” or “grains”) is a true crystal with a periodic arrangement of atoms, but the whole polycrystal does not have a periodic arrangement of atoms, because the periodic pattern is broken at the grain boundaries. Most macroscopic inorganic solids are polycrystalline, including almost all metals, ceramics, ice, rocks, etc. Solids that are neither crystalline nor polycrystalline, such as glass, are called amorphous solids, also called glassy, vitreous, or noncrystalline. These have no periodic order, even microscopically. There are distinct differences between crystalline solids and amorphous solids: most notably, the process of forming a glass does not release the latent heat of fusion, but forming a crystal does. Recommended For You Where Do Rubies Come From? A crystal’s habit is its visible external shape. This is determined by the crystal structure (which restricts the possible facet orientations), the specific crystal chemistry and bonding (which may favor some facet types over others), and the conditions under which the crystal formed. By volume and weight, the largest concentrations of crystals in the Earth are part of its solid bedrock. Crystals found in rocks typically range in size from a fraction of a millimetre to several centimetres across, although exceptionally large crystals are occasionally found. As of 1999, the world’s largest known naturally occurring crystal is a crystal of beryl from Malakialina, Madagascar, 18 m (59 ft) long and 3.5 m (11 ft) in diameter, and weighing 380,000 kg (840,000 lb). An ideal crystal has every atom in a perfect, exactly repeating pattern. However, in reality, most crystalline materials have a variety of crystallographic defects, places where the crystal’s pattern is interrupted. The types and structures of these defects may have a profound effect on the properties of the materials. Another common type of crystallographic defect is an impurity, meaning that the “wrong” type of atom is present in a crystal. For example, a perfect crystal of diamond would only contain carbon atoms, but a real crystal might perhaps contain a few boron atoms as well. These boron impurities change the diamond’s color to slightly blue. Likewise, the only difference between ruby and sapphire is the type of impurities present in a corundum crystal. In semiconductors, a special type of impurity, called a dopant, drastically changes the crystal’s electrical properties. Semiconductor devices, such as transistors, are made possible largely by putting different semiconductor dopants into different places, in specific patterns. 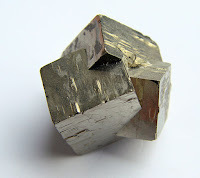 The International Union of Crystallography has redefined the term “crystal” to include both ordinary periodic crystals and quasicrystals (“any solid having an essentially discrete diffraction diagram”).